True he didn't mention the unblockable key, but he didn't write much about each deck. I also agree that it will help get the word out. My hope is that a serious competitive player will see the list and test it and bring it to the Modern GP at Charlotte. One can dream :). 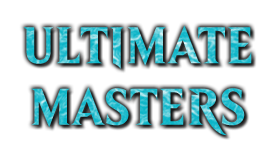 I have not got a ton of testing in, but I am doing a testing session tomorrow against grixis delver. We will probably run 6-8 games unsided and 10-12 side boarded games. I will post my notes from the session. I think someone asked me to post results against classic UR delver, but I didn't see any recent results with UR Delver so I will test against Grixis Delver because it has been doing well lately. Thanks for looking. Let's get Jeskai Unblockable to tier 1! your latest decklist contains 20 lands, with many fetches on one hand, and ~6 cantrips on the other. What is your opinion, do you happen to have mana screw? How often do you have to mulligan? Good to hear from you LL. That's a great question. Getting to my preffered land count has taken awhile. I have played as low as 18 and as high as 22. I will admit that I always like to fall on the low end of land count in all of my decks. I don't think the deck mulligans any more than any usual deck, but it does mulligan very well. With that said, mulligan choices with the deck matter greatly because you really want to have an early threat for the deck to function at the highest level. Mana screw has not been a problem for me during testing. I have been mana screwed with the deck (and mana flooded), but it doesn't happen often. I make a note during testing for each game I mulliganed. I will calculate the percentage so I can post it sometime in the near future. 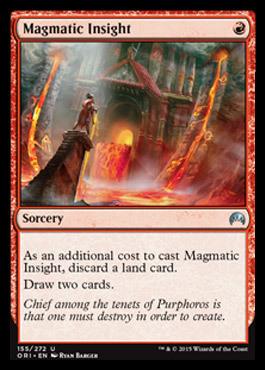 Because the CMC curve is so low, the deck can function on 1 or 2 lands for several turns. I keep most one land opening hands that has two playable card two one drops (Delver, Swiftspear, Bolt, Gitaxian Probe, and most importantly Serum Visions). The deck can function completely with only 3-4 lands. I really don't like drawing more than 5 lands in a given game because I want to play a higher number of spells than my opponent. After seeing the Temur Delver list that won the SCG IQ last week with only 17 lands and the Grixis Delver lists running 18 lands, I felt like I might need to cut a land :). I wouldn't fault anyone for cutting a spell and adding a 21st land if you want to avoid being mana screwed during a big tournament, however I don't feel that it is necessary. Like you mentioned, cutting a fetch or two could also lead to more land draws in the long run. To answer your question directly, I have not had any issues with the land count or mulliganing. I would love to hear how others feel about the mana base and to hear if they have had any problems with land screw/flood and mulliganing. With Jund/Junk rising very quickly, it is more important than ever to concentrate on the unblockable attribute of the deck. Being able to attack through Tarmogoyf, Scavenging Ooze, Tasigur, The Golden Fang, etc creates a huge advantage that other delver decks simply don't have. If you expect to see a lot of Jund/Junk in your meta I would suggest running one more Emerge Unscathed and/or Distortion Strike. Emerge Unscathed is one of the only cards that can protect threats from Abrupt Decay in modern, but it also offers a form of unblock-ability/indestructibility. Let me know what you guys/gals think about the Jund/Junk matchup. 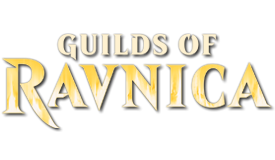 I am currently working on a sideboard guide which will be posted in the near future. Thanks for looking! What about Valorous Stance? It may kill Tarmogoyfs and Tasigur, The Golden Fang and Rhinos, when Lightning Bolt may no more. You guys are awesome. I actually watched LSV's draft last night at Pro Tour Fate Reforged and his first pick was Valorous Stance, and I thought "maybe I should give that card another chance". It protects our threats which is huge in this deck and offers removal for big boys. I think I will switch the path in the sideboard to a copy of [/card]Valorous Stance[/card] and then see if I can work it into the main board if it plays well in testing. With all of the Grixis Delver running around now, fatties are definitely a problem. Also spellskite can be a problem and stance deals with it as well. I will be testing it out and will let you all know how it goes. Thanks so much for the continuing ideas. I really appreciate you guys helping to make this archetype better. I could finally do some testing. I played many matches against 4C-Gift and a WB discard deck, before side. I could not win against the 4C-Gift, everytime loosing 1-2. On the long run it takes advantage and I finish behind. What is the best way to destroy graveyard strategies? Rest in Peace can hurt also our side and is a SB card. Since graveyards are used a lot these days, I would like to find a card that can be main-deckable and synergic with our style. I will be honest, I have not tested much against the 4C gifts deck so I don't have a ton of experience against it. It's not played much in my parts, but it is a deck that one might face in a big tournament. Typically with decks that try to go late or big (like tron) I play a very aggressive strategy and try to kill them before they can get any type of board state. With that said, 4C gifts type decks are notoriously a tough matchup for Delver style tempo decks. Per usual, I think your exactly right about the graveyard hate. 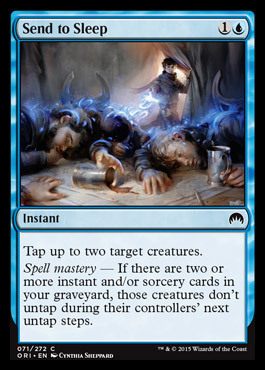 The graveyards are being used a ton in modern right now with delve cards, reanimate effects, snapcaster, etc. Because artifacts trigger prowess we can utilize most artifact graveyard hate and get some benefit out of them. Relic of Progenitus is a great option as is Tormod's Crypt. I have seen a lot of Grafdigger's Cage around as well. We just have to make sure that we can still utilize our graveyard for our snapcasters and grim lavamancer. If you play against a reanimator strategy like 4C gifts it may be best to side out the snapcasters and lavamancer (that coming out anyways in that matchup) and play some serious graveyard hate. Another card I would really help that matchup that I have been planning on adding to at least the sideboard is Aven Mindcensor and/or Shadow of Doubt. That way they cannot search for Gifts Ungiven or Expedition Map. I really like the Shadow of Doubt idea because it triggers prowess, draws a card, and is very effective against most decks (any deck with fetches). Other cards that are sneaky good in that matchup are Deflecting Palm against any of the big hitters like Emarkul, Elesh Norn, Wurmcoil Engine, etc. Path to Exile against these creatures is always solid. Grafdigger's Cage so they can't reanimate. Finally, Boros Charm helps keep our threats alive through board whips. In addition, Valorous Stance can protect one threat. If your meta has a lot of graveyard strategies I would definitely recommend running a rest in peace in the sideboard and a relic/grafdiggers cage/crypt in the mainboard. I would also recommend maybe running Aven Mindcensor main and/or Shadow of Doubt. Remember, both can hit a fetch land too so they are good in other matchups as well. One of the best things about the Jeskai Tempo Strategy in general is that it can be adjusted/tweaked to be perfect for any meta. 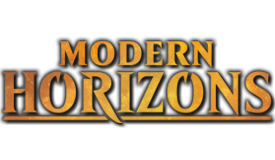 However, modern is so wide it is impossible to have answers for all of the decks. I will try to test against 4C gifts to see how it goes, but I assume we will need sideboard hate to effectively beat them regularly because our mainboard does not matchup very well against their strategy. These are the types of posts that are awesome and really help move the deck forward. Locating our toughest matchups and deciphering a way to combat them is always great for a deck. Thanks so much for testing and for posting. Keep us posted on how it goes. Again I feel we've come back to the need to focus on the "wham bam. Thank you m'am" potential. Is many instances that's a very good game strategy and the ability to switch to the midrange/control cards give the flexibility. The list still keep seeming more grindy than they need to be. The Prowess and the Unblockable seem sorely short. It realy comes down to personal preference or play style. With my build I am trying to make the deck that can be as competitive as possible in a large field. It fits my preference a little better. If we cut the disruption and/or late game we come have a "glass cannon" style deck. Again, this isn't necessarily a bad thing as many people prefer a very aggressive deck that can just straight up beat everything that isn't prepared for it. However, the wam-bam version would have an extremely tough time beating any decks with a lot of removal, discard, counters and/or any decks that are faster. Unfortunately these style decks are prevalent right now with jund, UWR control, UWB Twin, Amulet Bloom, and Goryo's Vengence. In my opinion it's all about to preference and comfort level. Some people love playing affinity and others can't stand having so many hate cards in games two and three. I believe both the "all-in" versions of the deck and the more tempo style version of this deck can be successful. I would love to have someone post a super aggressive version of the deck that I could add to the primer (of course credit would be given to the creator/author). I know there would be many players out there who would much rather play a Wham Bam version of the deck and would find it much more along their playstyle. It is a bit more controlling than I like for this style build, but it goes to show you can tweak the idea however you feel is best. Let's see what everyone thinks is the best build of the deck. Everyone please post your version of the list so I can add a few to the primer! More Prowess in Origins coming. Thanks for posting that Seraphinwolf. I was going to post that as well. I was super excited to see that Prowess is now an evergreen keyword! That means it will be in sets from here on out. Great news for our deck. Spoiler season is back so I can't wait to see if they print a new great prowess creature or possibly a prowess enchantment for another creature. That would be interesting for our Geist of Saint Trafts. Next we just need to have WOTC spoil a great rebound spell in origins and I will be in hog heaven! It looks like the new mechanic called "Spell Mastery" will also help our deck out. It allows additional effects from spells as long as you have at least two instants/sorceries in the graveyard. This deck functions on a lot of instants and sorceries. Therefore, it they print a modern playable spell mastery spell it will most likely slot right into the deck. With prowess announced and this new mechanic, origins looks primed to make the Jeskai Way deck even more powerful! 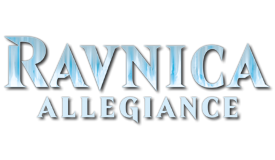 Also I want to thank Fat_Buddha for our new Jeskai Way Banner on the primer page. It looks awesome! Can't block of they are tapped... Finally seeing an instant speed two mana tap that hits more than one AND Hibernates them. GREAT call Seraphinwolf. I actually think this card is flying under the radar. It is a very powerful card for a tempo deck like ours. I will definitely be testing this one out in the main deck. I have been running a one of Sleight of Hand and will be replacing it with this card. I will test tonight and post my results tonight. Thanks for keeping up with the thread. If we get any new aggressive prowess creature in origins, it a matter of time until our deck/archetype becomes a little more mainstream. At the risk of breaking format, id like to offer a decklist that ive been running for some time. It started out pure izzet for raw explosiveness, but as curd has stated, a glass connon will break every time when people figure you out. So i went Grixis. In short, i added black for hand disruption and the raw card advantage that is dark confidant. It slows the deck down a lot, but it becomes a lot more resilient, particularly with bob out. Ive had a lot ofsuccess locally, but my meta is small. Testing online has been encouraging. I prefer dodge over distorion because i can choose when it comes back, and countering it is pointless, went with the 3/3 split of mizzium and pierce for abrupt decay and lily respectively. Side board just ups the number of counters/discard/removal i may need in a match, feeding is for burn, rakdos is for gy decks and twin. So, TL;DR. I know its not jeskai, but i thought you might appreciate a different color scheme/play style of what your decks are doing. Also, Curd: you primers are awesome, i dig your work. I always appreciate any new decklists. Especially one as awesome as this one. This really attacks on a very similar axis as the Jeskai build. I actually think some of the posters on here will prefer your build over the ones I have offered. Just from looking at it (without playing the deck so I have limited knowledge) it looks like your deck plays more like a comboish deck with a more aggressive strategy. I assume you are very heavily favored to win most game one games. I have always wanted to play Dark Confidant. I think that card is criminally under-played right now (most likely due to the delve cards being so prevalent). Your deck is a GREAT shell for Bob. I really enjoy this list and would recommend making a primer of your own. I would be happy to help you with it. If not, feel free to keep posting on here with your build as well as your results. There are plenty of people on here that play similar decks and would love to help if they can. I will try to play your deck and look at it more in depth tomorrow and see if I can come up with any constructive help, but it looks awesome to me. Thanks for posting the list and welcome. I have no problem implemeting other colors if they follow the unblockable/rebound/prowess mantra. You have both unblockable, rebound, and pseudo-prowess (kiln fiend and cyclops). On another note, the jeskai build just got a great new sideboard card in Hallowed Moonlight. It is great against some of our worst matchups (COCO, Tokens, Twin, Reanimator, etc). This will be a modern sideboard staple. The grixis build also got some new tech with Infinite Obliteration. This will help their matchup with reanimator, COCO, and any other problem creature as well. All in all the new Origin set has done a lot to shake up modern and should help our deck compete with the Tier 1 decks. If having to go for the more controling longer game this could be awesome! Give it unblockable and trigger Renown. Then even to remove it as a treating 3/3 they'll likely take 2 or trade with a blocker. If Renown whenever an opponent casts a non-creatures spell THIS CARD deals 2 damage to that spell's controller. 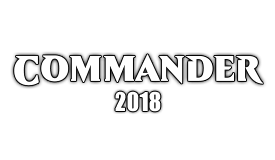 I will post any changes to the decklist as well as testing results this evening. With all of the new hate (none of it effecting our deck) and the new weapons we are getting I really think our deck can be tier 1 in modern. 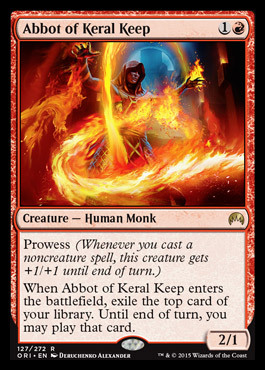 I have been testing lately with Abbot of Keral Keep and I am fairly confident it is the real deal in our deck. It has been very good and offers exactly what our deck is typically missing- late game help and card advantage. I don't think it can be played as a 4 of but 2 or 3 in the deck is probably perfect. I have been playing two, but it has been so good, I might try three. With lands, gitaxian probes, and tons of 1 CMC spells, he nearly always hits a spell/permanent. I have also cleaned up my list a little to play a little more streamlined. Here is what I have been testing recently. This build has been performing extremely well. I do miss the free wins that Kiln Fiend offers and he will most likely be added back into the deck at some point because he just offers so much damage with distortion strike. Telling Time and Serum Visions allow us to set up our delver flips and set up our Abbot flips and have the added benefit of triggering prowess. I would like to utilize our graveyard a little more by playing a Grim Lavamancer, so if the Telling Time does not perform how I would like I will most likely replace it with a Lavamancer or Kiln Fiend. For now, this is the build I will be going forward with. Let me know what you think. I have also been tinkering around with Monastery Mentor as a late game option, but he just takes a bit to long to effect the game. However I do think there could be another fun build with Monastery Mentor, Young Pyromancer, Haze of Rage, and an assortment of our usual suspects. Let me know what you all think about our new addition in Abbot of Keral Keep and let us know what you are running right now. Have a good one! So a card I keep coming back to lately while thinking about this...teleportal... Any reason not? is it just be 2 CMC that's running these cards aground? I think for the more aggro versions of the deck Distortion Strike is a better choice because of the rebound effect and because we would rarely have enough mana and/or creatures to benefit from the overload. For the more controlling version with Monastery Mentor and/or Young Pyromancer, Teleportal would be an awesome choice. I hadn't thought of that yet. That card would actually make the more controlling version of the deck much better. I'm going to have to try that out and build the control version. I have been loving Abbot of Keral Keep in testing. Have you tried it out yet? If so, what have you thought about the card. It plays great with Serum Visions and Telling Time. I think it is being very underrated right now. Thanks as always for your awesome ideas. You have really helped get this deck to current build. Another question I want to pose to everyone right now is what are the best sideboard cards for Jund in your opinion? I currently play Celestial Purge, Boros Charm, and an additional [/card]Path to Exile[/card] and sometimes side in Engineered Explosives and/or Deflecting Palm, but I never seem to have any major help against Jund. 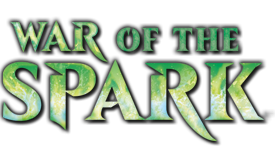 I have been thinking about running Hibernation again given the uptick in Elves, Collected Company, and Jund decks. I have also played Mirran Crusader in the past and Sower of Temptation. What cards to you guys/gals play in your sideboard for Jund style matchups? Since i have access to black, i board in all my discard and try to out strip their hand early. Having white instead though, i would agree with crusader and try to stick as many pyromancer and mentor tokens as possible. One thing BGx REALLY struggles with is multiple threats per card spent, since they focus on 1v1 removal. Also, act of treason type effects against goyf could be experimented with, since it plays well with prowess. That's a great point Twanicus. I should probably try Monastery Mentor and try to get a lot of prowess tokens on the board. I have played Sower of Temptation in the past, but it just felt ok each time, nothing special or back breaking. I think I will go with the Mentor/Crusader plan and see if that works out in testing. Thank you for the help.